I would like to share with you that due to my schedule becoming exceedingly over booked and working at an unsustainable rate, I am temporarily no longer taking new patients as of September 17, 2013. This will help to lighten up my schedule enough to give access to my existing patients and allow me to provide the best care possible. I want to thank you personally for all of your referrals as it has helped my practice become what it is today and I am extremely grateful. Although I am unable to accept new patients at this time, my office colleagues will continue to accept new patients. Eva Stanley Dipl.Ac. is accepting new patients for Avatar/Clinical Nutrition, Acupuncture, Injection Therapy and Cold Laser Therapy. 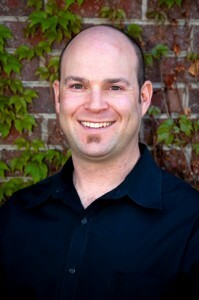 Josh Lazaroff is accepting new patients for Thai/Table Massage, Edu-K and Cold Laser Therapy. As trusted colleagues, they have my full support, respect and confidence that they will provide the quality of care our practice is known for. I am including a list of providers below who from my personal experience I can confidently recommend to anyone for outstanding chiropractic care (see referral list). Again, thank you for all of your referrals and communications. Please feel free to email me or call with any questions.